Can CSS be used to hide the scroll-bar? How would you do this? The code above hides both horizontal and vertical scrollbar. Note: It'll also disable the scrolling feature. Refer below answers if you just want to hide scrollbar but not scroll feature. You can of course always use width: 0, which can than be easily restored with width: auto, but I'm not a fan of abusing width for visibility tweaks. sed semper ipsum. Nam laoreet libero lacus. When you ask the question, "Can the scroll-bars of a browser be removed in some way, rather than simply hidden or camouflaged", everyone will say "Not possible" because it is not possible to remove the scrollbars from all browsers in a compliant and cross-compatible way, and then there's the whole argument of usability. However, it is possible to prevent the browser from ever having the need to generate and display scrollbars if you do not allow your webpage to overflow. This just means that we have to proactively substitute the same behavior that the browser would typically do for us and tell the browser thanks but no thanks buddy. Rather than try to remove scrollbars (which we all know is not possible) we can avoid scrolling (perfectly feasible) and scroll within the elements that we make and have more control over. *These properties were never part of the CSS spec, nor were they ever approved or vendor prefixed but they work in Internet Explorer and Konqueror. These can also be set locally in the user style sheet for each application. In IE you find it under the "Accessibility" tab, in Konqueror under the "Stylesheets" tab. As of IE8 these properties were vendor prefixed by Microsoft but were still never approved by W3C. IE makes scroll available which sets whether or not to disable or enable scroll bars; it can also be used to get the value of the position of the scroll bars. With Microsoft Internet Explorer 6 and later, when you use the !DOCTYPE declaration to specify standards-compliant mode, this attribute applies to the HTML element. When standards-compliant mode is not specified, as with earlier versions of IE, this attribute applies to the BODY element, NOT the HTML element. It's also worth noting that when working with .NET the ScrollBar class in System.Windows.Controls.Primitives in the Presentation framework is responsible for rendering the scrollbars. :horizontal – The horizontal pseudo-class applies to any scrollbar pieces that have a horizontal orientation. :vertical – The vertical pseudo-class applies to any scrollbar pieces that have a vertical orientation. :decrement – The decrement pseudo-class applies to buttons and track pieces. It indicates whether or not the button or track piece will decrement the view’s position when used (e.g., up on a vertical scrollbar, left on a horizontal scrollbar). :increment – The increment pseudo-class applies to buttons and track pieces. It indicates whether or not a button or track piece will increment the view’s position when used (e.g., down on a vertical scrollbar, right on a horizontal scrollbar). :start – The start pseudo-class applies to buttons and track pieces. It indicates whether the object is placed before the thumb. :end – The end pseudo-class applies to buttons and track pieces. It indicates whether the object is placed after the thumb. :double-button – The double-button pseudo-class applies to buttons and track pieces. It is used to detect whether a button is part of a pair of buttons that are together at the same end of a scrollbar. For track pieces it indicates whether the track piece abuts a pair of buttons. :single-button – The single-button pseudo-class applies to buttons and track pieces. It is used to detect whether a button is by itself at the end of a scrollbar. For track pieces it indicates whether the track piece abuts a singleton button. :no-button – Applies to track pieces and indicates whether or not the track piece runs to the edge of the scrollbar, i.e., there is no button at that end of the track. :corner-present – Applies to all scrollbar pieces and indicates whether or not a scrollbar corner is present. Mozilla does have some extensions for manipulating the scroll-bars but they are all recommended not to be used. -moz-scrollbars-none They recommend using overflow:hidden in place of this. -moz-hidden-unscrollable Only works internally within a users profile settings. Disables scrolling XML root elements and disables using arrow keys and mouse wheel to scroll web pages. Last but not least, padding is like magic. As has been previously mentioned in some other answers, here is an illustration which is sufficiently self-explanatory. 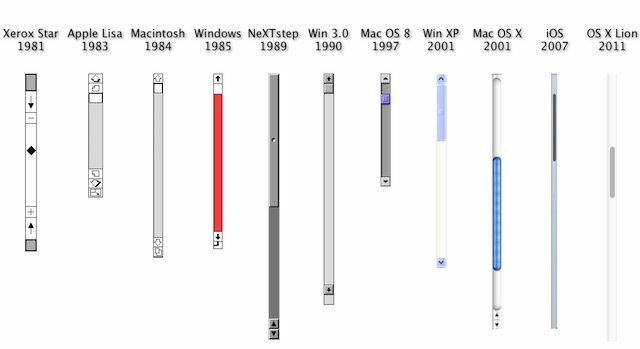 Just because I'm curious, I wanted to learn about the origin of scrollbars and these are the best references I found. In an HTML5 specification draft, the seamless attribute was defined to prevent scroll-bars from appearing in iFrames so that they could be blended with surrounding content on a page. Though this element does not appear in the latest revision. The scrollbar BarProp object is a child of the window object and represents the user interface element that contains a scrolling mechanism, or some similar interface concept. window.scrollbars.visible will return true if the scroll bars are visible. The History API also includes features for scroll restoration on page navigation to persist the scroll position on page load. window.history.scrollRestoration can be used to check the status of scrollrestoration or change it's status (appending ="auto"/"manual". Auto is the default value. Changing it to manual means that you as the developer will take ownership of any scroll changes that may be required when a user traverses the app's history. If you need to, you can keep track of the scroll position as you push history entries with history.pushState(). You can accomplish this with a wrapper div that has it's overflow hidden, and the inner div set to auto. To remove the inner div's scroll bar, you can pull it out of the outer div's viewport by applying a negative margin to the inner div. 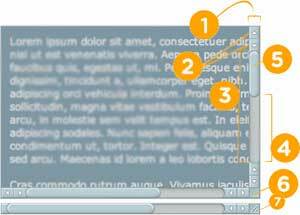 Then apply equal padding to the inner div so that the content stays in view. * so that we have room to scroll. * the devices you are targeting. UPDATED: added the new scrollbar-width property for Firefox. I think i found a work around for you guys if you're still interested. This is my first week but it worked for me.. If you're looking for a solution to hide a scrollbar for mobile devices, follow Peter's answer! Here's a jsfiddle, which uses the solution below to hide a horizontal scrollbar. Tested on a Samsung tablet with Android 4.0.4 (both in the native browser & Chrome) and on an iPad with iOS 6 (both in Safari & Chrome). As the other people already said, use CSS overflow. Cross Browser Approach to hiding the scrollbar. If you want scrolling to work, before hiding scrollbars, consider styling them. Modern versions of OS X and mobile OS's have scrollbars that, while impractical for grabbing with a mouse, are quite beautiful and neutral. To hide scrollbars, a technique by John Kurlak works well except for leaving Firefox users who don't have touchpads with no way to scroll unless they have a mouse with a wheel, which they probably do, but even then they can usually only scroll vertically. An outer element to mask the scrollbars. A middle element to have the scrollbars. And a content element to both set the size of the middle element and make it have scrollbars. It must be possible to set the size of the outer and content elements the same which eliminates using percentages, but I can't think of anything else that won't work with the right tweaking. My biggest concern is whether all versions of browsers set scrollbars to make visible overflowed content visible. I have tested in current browsers, but not older ones. // some webkit based browsers. OS X is 10.6.8. Windows is Windows 7. Firefox 32.0 Scrollbars hidden. Arrow keys don't scroll, even after clicking to focus, but mouse wheel and two fingers on trackpad do. OS X and Windows. Chrome 37.0 Scrollbars hidden. Arrow keys work after clicking to focus. Mouse wheel and trackpad work. OS X and Windows. Internet Explorer 11 Scrollbars hidden. Arrow keys work after clicking to focus. Mouse wheel works. Windows. Safari 5.1.10 Scrollbars hidden. Arrow keys work after clicking to focus. Mouse wheel and trackpad work. OS X.
Android 4.4.4 and 4.1.2. Scrollbars hidden. Touch scrolling works. Tried in Chrome 37.0, Firefox 32.0, and HTMLViewer on 4.4.4 (whatever that is). In HTMLViewer, the page is the size of the masked content and can be scrolled too! Scrolling interacts acceptably with page zooming. Just thought I'd point out to anyone else reading this question that setting overflow: hidden (or overflow-y) on the body element didn't hide the scrollbars for me. I had to use the HTML element. I believe you can manipulate it with the overflow CSS attribute, but they have limited browser support. One source said it was IE5+, Firefox 1.5+, and Safari 3+ - maybe enough for your purposes. I've skimmed the other 19 answers to see if the code I'm posting has already been covered, and it seems like no single answer sums up the situation as it stands in 2019, although plenty of them go into excellent detail. Apologies if this has been said by someone else and I missed it. html can be replaced with any element you want to hide the scrollbar of. Not the answer you're looking for? Browse other questions tagged css browser scrollbar or ask your own question. How to hide the vertical scroll bar of a web page? How to hide a specific scrollbar?